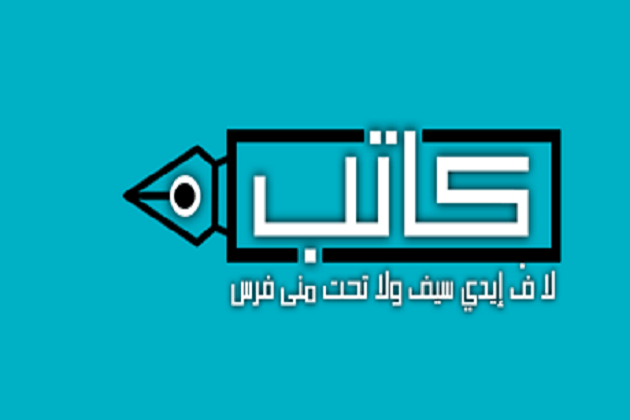 Katib, a news website focused on documenting rights violations in Egypt, announced on Monday it was freezing its operations indefinitely in protest of the recently passed media law that requires online news outlets to legalize their status through an opaque registration process. The website was launched by the Arabic Network for Human Rights Information (ANHRI) in June and was blocked by authorities just nine hours later. Access to over 500 websites, including Mada Masr, is currently blocked on Egyptian service providers. Under the law, news websites are required to pay a LE50,000 registration fee and submit paperwork to the Supreme Media Regulatory Council (SMRC). It remains unclear whether websites that have been blocked by the government are eligible for a license, or if they are, whether they would be unblocked. “Katib and its team find themselves squeezed between either paying large sums of money — which neither Katib nor ANHRI can afford and which wouldn’t even guarantee a lift on the [block] on the website — or to continue their work while risking high fines,” ANHRI said in a Monday statement. In a surprise announcement on October 18, the SMRC said a two-week window for registration applications would open just three days later, on October 21. On Sunday, the registration window was extended by an additional two weeks. By requiring websites to register before the executive regulations of the media legislation had been issued, the SMRC threw the entire process into disarray, leaving news sites in the dark about how to register. After the council announced the opening of the application window, media practitioners expressed concerns that the sudden launching of the process — which is much shorter than the six months stipulated in the media law, and took place before law’s executive regulations were issued — was an attempt by authorities to maneuver online news outlets into a legal cul-de-sac. The Katib editorial team said in a Monday statement that they had submitted a list of inquiries to the SMRC immediately after the registration announcement was made, including questions regarding the eligibility and fate of blocked websites. Katib also requested that the payment of the application fee be postponed until these concerns were properly addressed. The SMRC responded saying they would provide Katib with the necessary forms to apply but that the application would not be processed without full payment of the fees, according to the statement. The media council also stated that all applications will be processed, including those submitted by blocked websites, adding that they will all be referred to security bodies before any final decision on an online news organization’s status is made. SMRC officials informed Katib that the media oversight body “had nothing to do with the blocking, but that legalization does not mean the block will be lifted,” and that Katib would have to directly address the state body that blocked the site. After its news website was blocked in May 2017, Mada Masr Media filed a case before the State Council requesting information as to which body issued the order for the blocking. Throughout the protracted proceedings, no state authority claimed responsibility, with all asserting that the blocking of websites fell outside their purview. While the new media law designates the SMRC as the competent body to administer website blocks going forward, there is still little clarity regarding blocks prior to its September ratification. On Monday, the Paris-based Reporters Without Borders condemned the new media regulations saying they are “tantamount to extortion” and aim to silence Egypt’s last remaining independent voices.